Welcome to Top Dawg Delivery and Logistics. 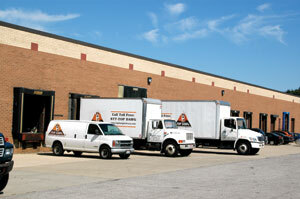 We are Northeast Ohio's premier delivery, logistics and warehousing company, serving organizations large and small. More importantly, we want to be your delivery and logistics company. Top Dawg offers the ability to place and track orders through this web site. If you're a new customer or an existing customer who has not placed an order online before, please call 877-Top Dawg (877-867-3294) to get started. Otherwise, log-in to our ordering system. Top Dawg is excited to announce its new dedicated medical line. We've been serving the medical community for years, and have now made it even easier for medical staff to place an order. Questions? Contact us via this site.